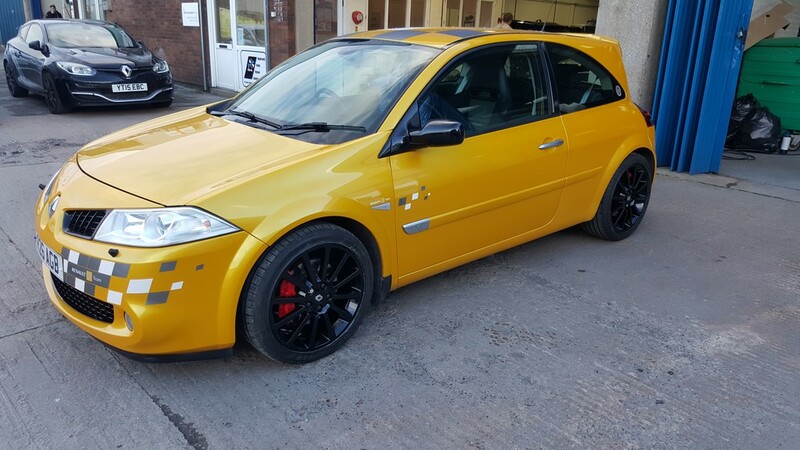 An RSmegane.com forum member from South Yorkshire has asked us to do some repairs to the front bumper and all 4 alloy wheels, also all the front bumper grills painted gloss black to match the mirrors and door trims we painted earlier in the year! Liquid yellow always looks amazing! 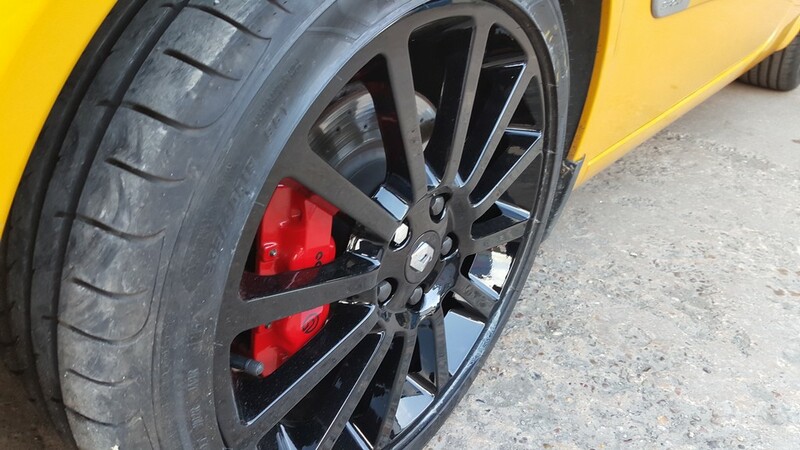 The customer requested that a new F1 sticker was fitted to the front bumper. Now all finished and ready for the customer to collect. Courtesy Cars available – subject to terms and conditions.